Come and visit the world underwater with Diver’s World. Our custom trips are designed to give you an amazing diving experience at a wonderful resort designed for divers. Each of our dive trips is unique and exotic. We try to find boutique experiences that you will remember for a lifetime. 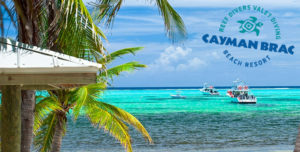 Cayman Brac Beach Resort is a much-loved getaway for divers of all ages. 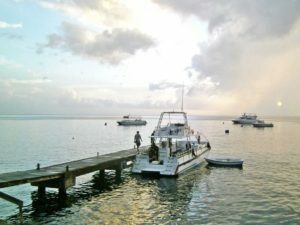 Enjoy the casual ambiance of our 40-room resort and experience world-class diving, including the MV Captain Keith Tibbetts wreck, just a short Reef Divers’ boat ride away. Relax during non-dive time in our large, freeform pool and spa, or sip your favorite beverage at our Tipsy Turtle Bar’s top deck—the perfect spot for catching sunsets. Feeling adventurous? Hike the Brac’s nature trails, explore some of the island’s caves, or even try rock climbing on the Bluff. 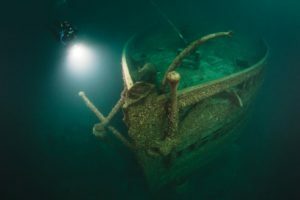 Dive the Straits of Mackinac Shipwreck Preserve, including the Cedarville, the 3rd largest freighter sunk in the Great Lakes (3rd only to the Edmund Fitzgerald and the Carl Bradley). Family and non-diver friendly trip based in the beautiful Northern Michigan city of Mackinaw City. With 300 feet of Lake Huron shoreline, the Clearwater Lakeshore Motel has the best view of the Mackinac Bridge and Mackinac Straits in town. All rooms include complimentary WiFi and continental breakfast. Join Discover Diving and Divers World on one of our best summer getaways as we head down to the Florida Keys. 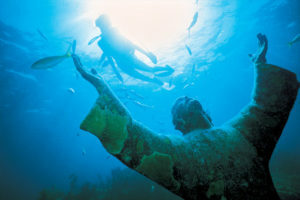 The Florida Keys offer the only Caribbean diving in the continental US that includes beautiful reefs and awesome wrecks. A bit of something for everyone! This trip has been setup as a two part adventure which gives our guest the flexibility to tailor your time in the Keys to your own schedule and desires. You can join us for the entire trip or just part of it. 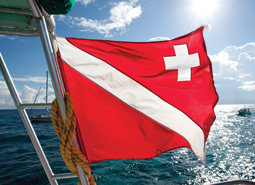 Come join Diver’s World for a return trip to the island of Cozumel. Just off the coast of Mexico’s Yucatán Peninsula, Cozumel is a year-round dive destination known for easy drift diving with stellar visibility, vibrantly colored sponges and marine life like turtles, nurse sharks and rays, The diving in Cozumel is comprised of 45+ sites on the Mesoamerican Barrier Reef, which touches Mexico, Belize, Guatemala and Honduras and is the second largest barrier reef in the world. 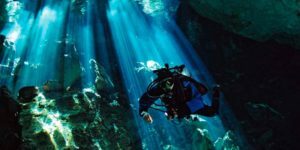 Don’t miss the day trip to dive some of the beautiful cenotes of Mexico! Don’t go anywhere without Dive Insurance. Your primary medical insurance may exclude scuba diving as a hazardous recreational activity and/or may not provide coverage when you are traveling out of the country. If it does provide coverage, it may pay only a minimal amount for chamber treatments. There are also often large out-of-pocket payments for deductibles and co-pays. These alone can total thousands of dollars.